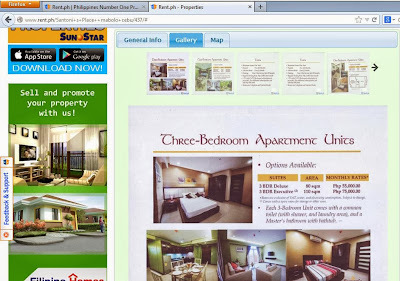 In terms of residential requirements, many people start off in Makati because of the convenience but later move out to other suburban areas especially around Sucat and Alabang, where renting payment are much less compared to those in Makati area. This is a real consideration if you are paying for your own expenses, less if your company foots the bill. Looking for space should be exciting and fun, not scary. Do not be shy about taking notes, measurements or pictures of any space you look at. These things can help you research and compare more options after you leave the site. When you find what you want, next would be negotiating time. You need to know what questions to ask. Negotiating starts with asking the right questions. Do a little research on how rent and added fees are calculated. Determining the type of lease being offered is probably the most important thing to consider first because it determines how you will be charged rent. You will be able to plan your finances and negotiate the best deal possible on price, lease terms, outgoings, parking, and maintenance with the knowledge on hand. All should always have at least some room for negotiation, no matter how small. A completely inflexible landlord is generally not someone you want to lease from. Do not take the little things for granted. Ask if the lease covers cable TV, laundry, garbage collection, use of gym/pool facilities. Be prepared to walk away from what is perceived to be a bad deal. You will get a better value for money if you try to shop around. Make sure the lessor warrants outgoings (electricity, telephone, water etc.) with respect to the previous tenant. Utility providers will cut you off if you do not pay arrears then the struggle begins. Nuissances can be best avoided through proper negotiation. Once you have found the perfect space, you still need to make an offer, and sometimes a counter offer to negotiate the best deal on a commercial lease. Never accept any offer without asking for at least something better. It is standard and customary in commercial leasing to negotiation - the landlord expects it and usually will inflate rent or fees in some way expecting to come down a bit in price. Never accept the terms of any lease without asking for a better deal, no matter how small the space is. 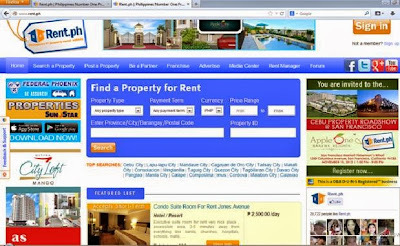 Rent.ph (www.rent.ph) has thousands of properties in their rental listing for you to choose from. It is the #1 Rental Property Website in the Philippines with years of experience in helping people make the right decision. Rent.ph cannot tell you which one to choose but it can share with you the pros and cons of each option.